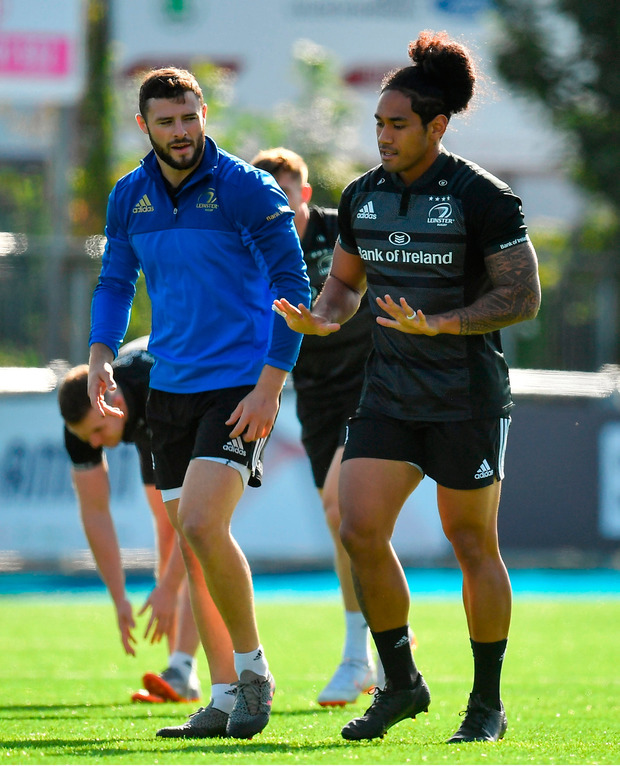 John Fogarty jumped to the defence of Joe Tomane after Leinster's big summer signing's disappointing debut against Cardiff Blues. "I don't think he'd a shocking game," issued the scrum coach. "I think defensively we, as a team, can be better, how we move around the field, how we develop width, and don't let someone get exposed." The unfamiliarity with those either side of him leaked indecision into Tomane's defence. Later on, this led to issues with ball security as the hard-charger uncharacteristically lost the ball in contact. "I think he was exposed because the system wasn't right," said Fogarty. The experienced Wallaby won't be too bothered at this stage of his career. Tomane has shown what he can do at the highest level. It just shows the bedding-in process is not complete, just yet. "I think Leo knows Joe very, very well, and he knows what makes him tick and that's why he got him in here," continued Fogarty. "It's disappointing, those individual errors, but those little things can be tightened up quite easily. "They're forgotten about in a couple of weeks' time when he starts to fit into systems, and the system is working better." Leinster will need to tighten up considerably against The Scarlets on Friday night (KO7.35, TG4 & eirsport). The rivalry built up over the last two seasons and the West Wales club's loss to Ulster will ensure an edge to the proceedings at Parc Y Scarlets. Ireland flanker Josh van der Flier has made a complete recovery from his anterior cruciate ligament (ACL) injury. He has been cleared to take a full part in the rugby programme in what comes as a significant boost to the back row options. "It's great for everyone. He's in there, which is great for Ireland and for us," stated Fogarty. "He's up for selection, so it's becoming difficult now to select teams and that's what we want, a fella like Josh to come back in now and be competitive, train hard and improve the standard of training. "It's great that he's back. He's worked to get himself back." Should Van der Flier jump straight back in, it could well allow Rhys Ruddock to return to his natural berth on the blindside. International second row Devin Toner and number eight Jack Conan could also be involved in what will be bonus-territory for Leinster given the five points ripped away from Cardiff last Friday. Scrum-half Nick McCarthy will be out for the next 2/3 weeks with a wrist fracture. This might just open the door for Ireland U20 Hugh O'Sullivan to make his case for inclusion in the match day squad as James Lowe eyes a return to the action. However, it should be noted how Luke McGrath-Jamison Gibson-Park double act worked a treat in round one. Barry Daly will have what has been described as "a small procedure" done on his knee this week. There was a sigh of relief when the wing's tweak turned out to not be as bad as first feared in Cardiff.